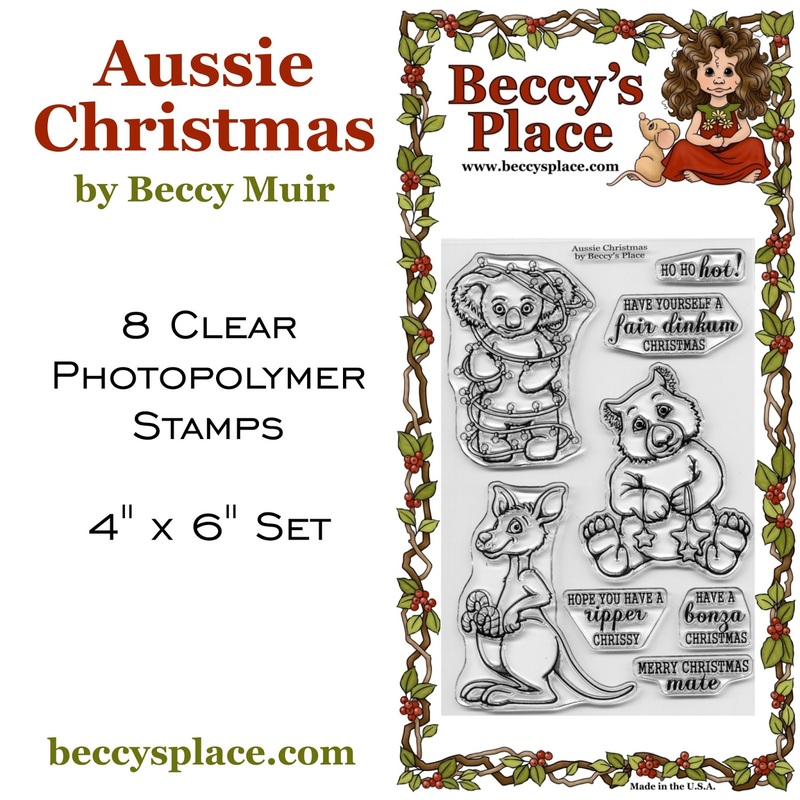 This set will definitely add an Aussie flavour to your Christmas card making. 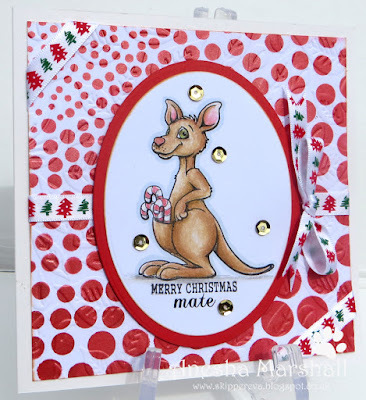 The set includes a candy-cane toting kangaroo, star-gazing wombat and light-wrapped koala, along with five mix and match ocker sentiments to complete your holiday projects. 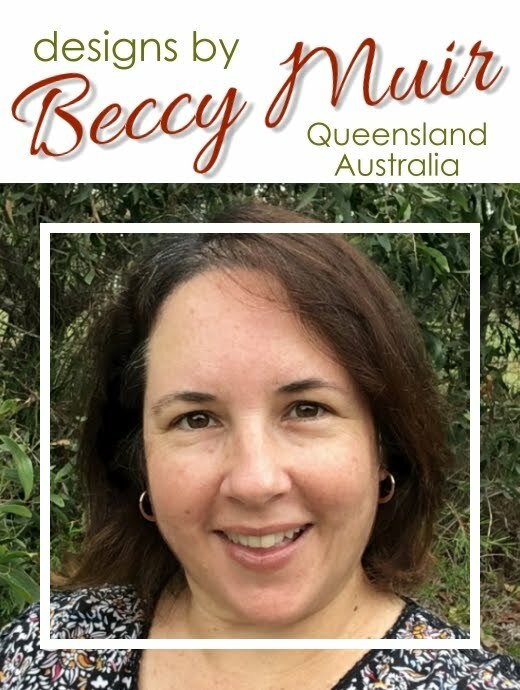 I had to go check this set out when you posted you posted your kangaroo card yesterday. So adorable. Love the cards the DT made. Awwww, cute, cute,and more cute! 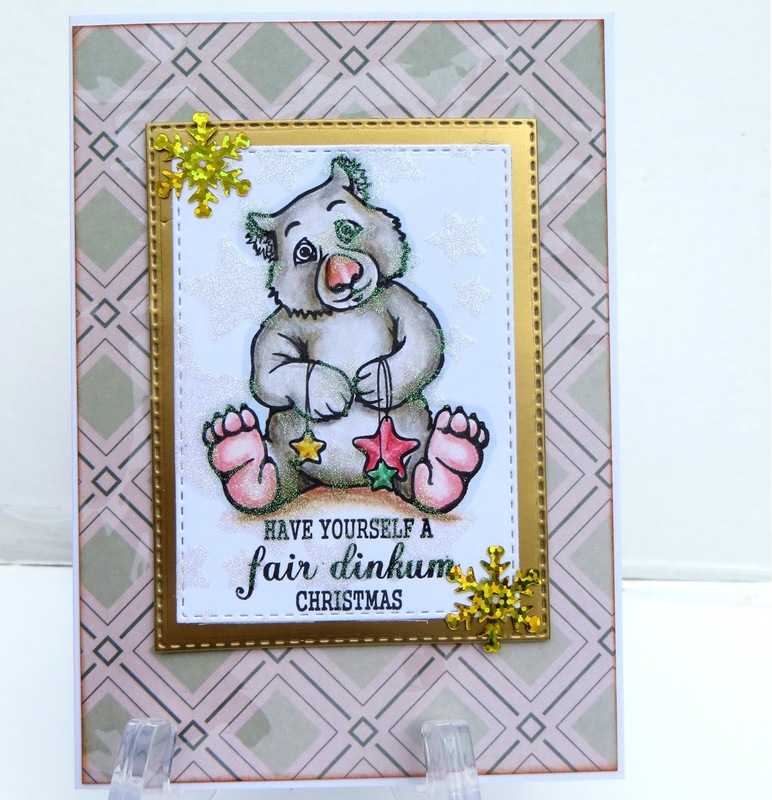 I think the wombat with the stars is my favourite! 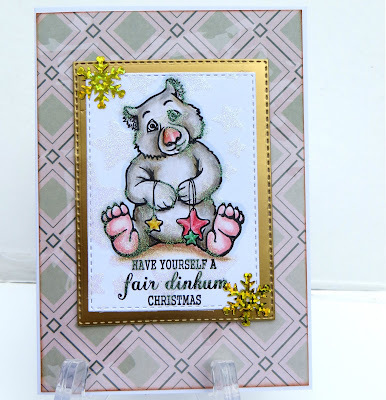 Sweet cards by your team! 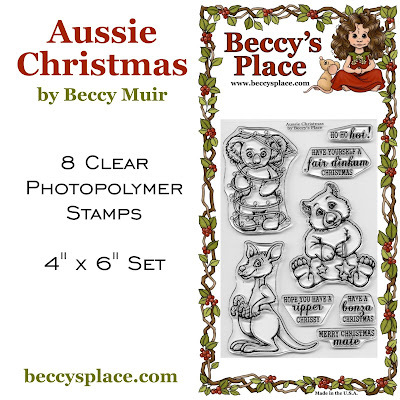 Cute cute cute stamps and cards!! !